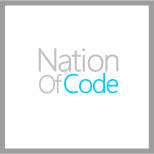 As of November 2015, Nation of Code appears to be no longer in operation. An email with these details has been sent to Nation of Code. You've already applied to this scholarship with Nation of Code.